The diagnosis of the first case of ‘imported’ Ebola in the US has heightened public awareness and anxiety over the current outbreak in west Africa. The development sits atop a wave of recent depressing assessments. Last week, the Center for Disease Control issued a projection that tried to allow for the infection rate beyond the official count, and that factored in the rate at which infections are doubling in the different west African countries. That report makes for sobering reading: it’s the source of the latest projection of a possible 1.4 million cases by January 2015. Moreover, CDC has revised upward its estimate of the virus’s morbidity rate, from roughly 50% to a more precise 71%. That’s a high figure. The World Health Organisation has added to those concerns by noting that we might be witnessing a long-term shift of the virus out of the animal kingdom to become endemic in the human population. And the International Crisis Group has pointed to the social and political dynamics associated with the outbreak, suggesting we might see the ‘collapse’ of west African nations under the burden that Ebola is imposing. The Ebola crisis is still swelling in Liberia, Sierra Leone, and Guinea, cutting a swathe through first-line medical responders (often small in number to begin with), weakening the capacity to cope with normal medical tasks, and biting into economic productivity and tourist rates. In recent weeks, we’ve seen a New York Times article canvassing the possibility that the virus might ‘go airborne’; an observation from a doctor in Germany that the virus might have to ‘burn itself out’ in the current areas of major infection, possibly killing five million people; and Kent Brantly’s testimony that Ebola is ‘a fire straight from the pit of hell’. Let’s put some of that into perspective. First, the outbreak in Africa derives part of its vigour from the weak national health infrastructures deployed against it (patients are routinely turned away from over-crowded hospitals), and the culture of fear and denial that surrounds the virus (seen in the attacks upon—and sometimes the killing of—aid workers sent into remote communities to help raise awareness of the disease). Infrastructures can be boosted and cultures can be changed, but it’s not quite as easy to do either as some claim. Countries that already have strong health systems and greater public awareness about the disease are better placed to respond to it. Second, and less well noticed amongst the slew of bad news over the last week or so, has been an item of good news: there’s evidence that the outbreak is coming under control in Nigeria and Senegal, with no new cases of infection being reported in the past 21 days. 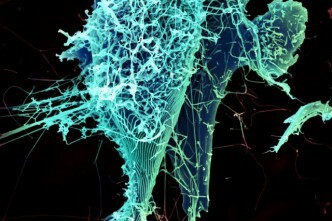 Third, experts dispute the notion that the virus can easily ‘go airborne’. For it to do so, it would have to mutate to target respiratory cells as a preferred infection route; and it would have to become more resilient at surviving outside its host’s body. Some say that’s possible: that influenza made that jump in the past. Others say the possibility of Ebola making the jump is remote. Fourth, the CDC points to the continuing efficacy of isolation as a primary treatment. The fact that hospitals and treatment centres can contain the disease has much to do with their ability to isolate patients and thereby decrease the transmission rate to others. If early cases are treated properly, the disease has little chance to spread. Because of globalisation, we’re always worried these days by the prospect of ‘diseases without borders’. That’s a legitimate concern. Disease experts have for some years written about the growing viral superhighway that globalisation provides. But not all viruses are equally adept at travelling along the highway. Monkeypox proved capable of reaching out from west Africa to Wisconsin in 2003, infecting five-year-old Schyan Kautzer: an imported Gambian giant rat in a US pet store passed the disease to a prairie dog which passed the disease to humans, one ocean and half a continent away from its usual habitat. It was observed at the time that it was easier for a Gambian rat to enter the US than it was for a Gambian: the rat needed neither passport, nor visa, nor funds to pay for its own airfare. But with the current Ebola outbreak, we’re primarily talking about the movement of infected humans across national boundaries. That’s what happened in the US case—travel occurred before the individual showed any symptoms—and it’s certainly possible that similar cases might spring up elsewhere. Still, most Ebola victims aren’t travelling anywhere fast; and key infection points don’t have strong connections to the globalised world. Of course if the virus were to entrench itself in a city like Lagos—unlikely if the Nigerians really do have the outbreak under control—that’d be more concerning. But if Ebola probably isn’t going to be a major problem for most of us, it’s already one for a small number of countries in west Africa. 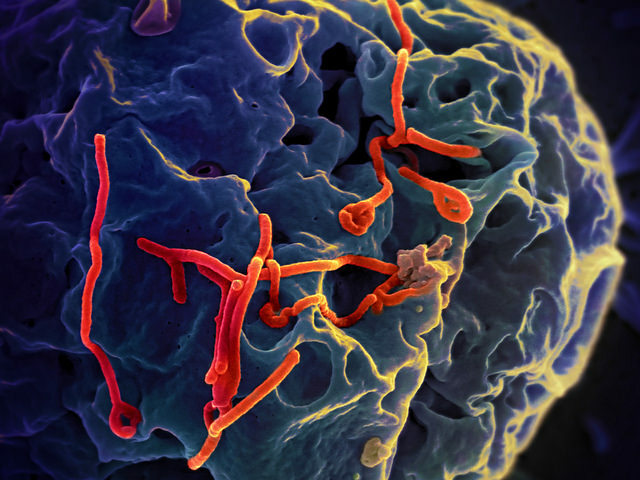 Australia should do what it can to help tamp down the latest outbreak—both in the name of humanitarian assistance and to minimise the prospect of Ebola exploring its own mutational possibilities. Rod Lyon is a fellow at ASPI and executive editor of The Strategist. Image courtesy of NIAID.